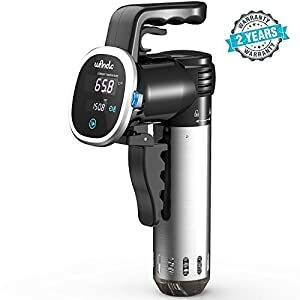 What exactly is Sous Vide? Literally translated as ‘under vacuum’ the cooking method was perfected by French culinary professionals in the 1970s to minimize product loss when cooking foie gras. 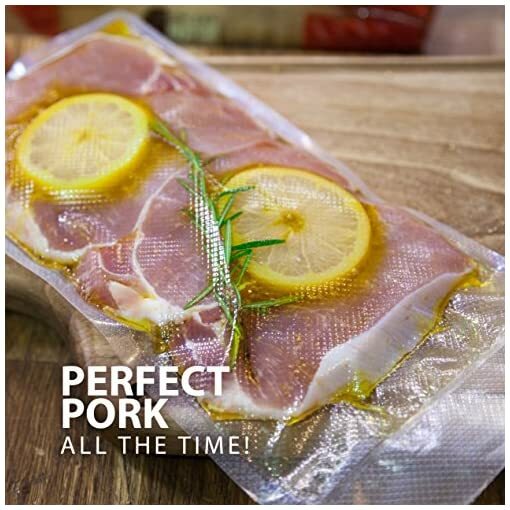 Water immersion cooking is simply placing food in vacuum-sealed pouches and slowly cooking it at gentle and precise temperature. The result is tender foods without losing their original color, nutrients or texture. 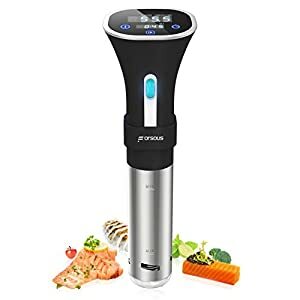 So, does Sous Vide work and is it better than “traditional cooking methods” for certain foods? Traditional cooking methods utilize pots, pans, grills and ovens which need to be hotter than your desired temperature to heat the food thoroughly from the outside in. This can be tricky because you need to remove the food from the heat at just the right time. Removing too early results in under-cooking and if you’re too late, your food is over-cooked. 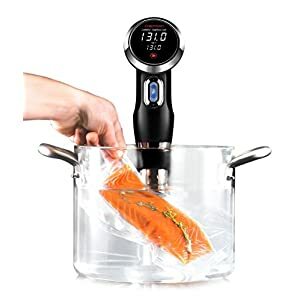 However, when cooking with water immersion, you set the precise desired temperature and do not have to worry about ruining that expensive protein you’re serving to your family or guests. As a matter of fact, you can “over-cook” your food for up to an hour after it has reached desired temperature and it will not be ruined! 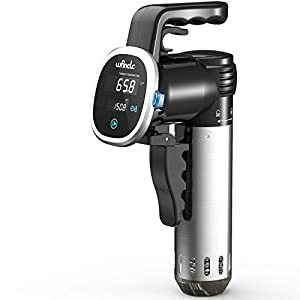 Cooking Sous Vide offers unparalleled control and allows you to become a culinary artist no matter what protein you wish to serve. This cooking method leaves you with results and textures that are impossible to achieve using traditional cooking methods. Your proteins will come out of the bath cooked to your preferred temperature without fail. 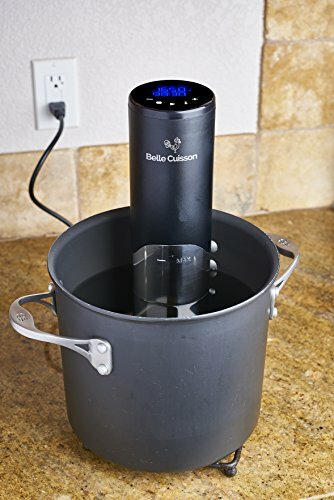 Water immersion cooking is ideal for beef, chicken, pork, lamb, seafood (including crustaceans), vegetables, eggs, fruit, and desserts. 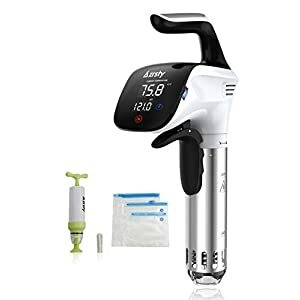 Use your favorite recipes or grab a Sous Vide cookbook and start cooking! 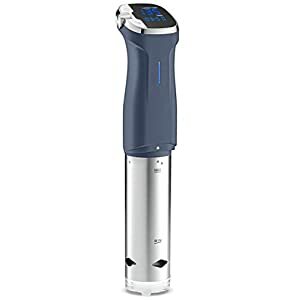 Take the guess-work, thermometer-poking, cutting and peeking out of your routine with Sous Vide by Belle Cuisson for perfect results every time. 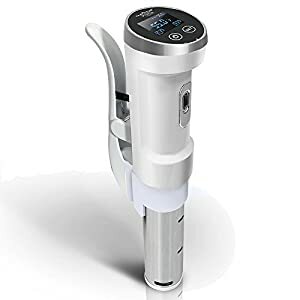 ✅ 1100 WATT POWERHOUSE – Less Waiting for the Water to Heat and More Time Cooking; Its LED Display with Touch Sensor Controller make it easy to read and ready to use. 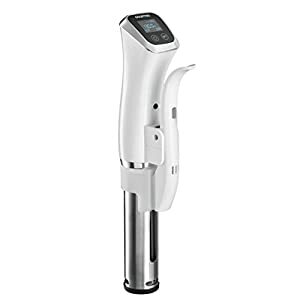 Set your thermometer temperature from 32ºF – 194ºF and stick our Sous Vide wand in any pot, container, or bin with a variety of water levels for instant cooking of your favorite cuisines. 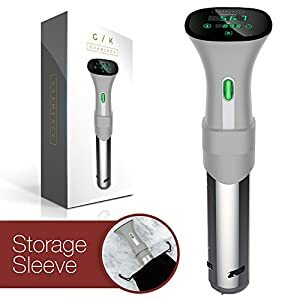 ✅ SUPREME STAINLESS STEEL – Sanitary, Easy to Clean and Maintain for Years of Use; No accessories or vacuum sealer needed; Use ziplock bags from home. 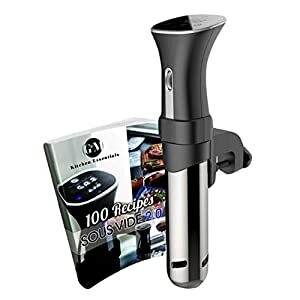 ✅ SIMPLE AND UNCOMPLICATED – No unnecessary high tech features such as wifi, bluetooth, or an app that can lead to hours contacting tech support, when you would rather be cooking; After using simply place the hand held system in storage until your next sous vide meal. 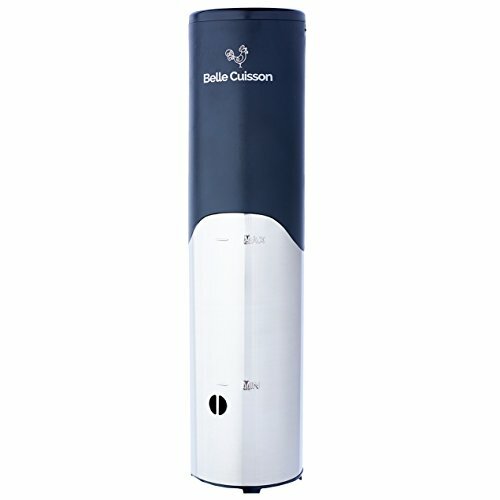 ✅ BELLE CUISSON makes all of your cooking frustrations go away. Sous Vide’s European slow cooker techniques will make YOU the professional chef in the kitchen. 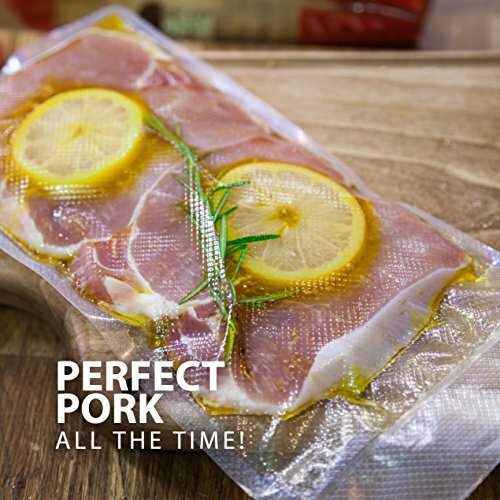 No extra grilling or flame needed – sous vide your meats, eggs, vegetarian and paleo dishes as is.